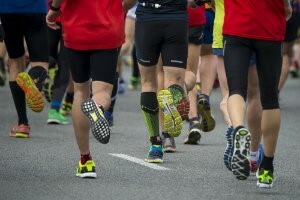 How to Stay Active While Recovering from Runner’s Knee | Podiatry Associates, P.C. Have you ever been out sick or gone on vacation when something big or dramatic happened back home? Then, when you returned you felt “out of the loop”? Feeling lost and out of the loop can be disorienting and not fun. Runners can feel the same way when they are forced to rest an injury. While you might feel antsy and anxious to return to the road while you’re recovering from runner’s knee, you don’t have to spend your time sitting on the couch, worrying that you’re missing out. In fact, it’s better if you stay active—that way you can make your return to running much smoother. Runner’s knee is a common problem with overuse and stress on the joint, resulting in pain around or under your kneecap. You can develop runner’s knee many ways, whether you over-train, have poor running technique, need more supportive footwear, or deal with some other wear-and-tear cause. Once you have the injury diagnosed and you begin treatment, though, continuing to run normally will only make the problem worse. You have to scale back or take a break altogether to allow your joint to heal. Build your upper body – Now’s a good time to focus on your upper body power. Stretch and strengthen legs – Your hamstrings, quads, and hip muscles help stabilize your knees. Work them without straining your joints. Go swimming – Swimming and water jogging are ways to stay in shape without stressing your knees. Ride a bike or walk – Walking and biking both work your legs without hard impacts. Staying active with runner’s knee simply means being careful and engaging in alternative exercises. In the end, the way you take care of your body during your “down time” can help you maintain your health and get back to your activities much more smoothly. Our teams at Cherry Creek Physical Therapy and Castle Pines Physical Therapy can help you create a plan to stay active with runner’s knee today. Just contact us online, or call our Cherry Creek and Castle Pines, CO, offices directly at (303) 805-5156.